New Delhi, Oct (IANS) Japanese smartphone maker Sony on Friday announced the launch of two new mid-range smartphones — Xperia R1 Plus and R1 — priced at Rs 14,990 and Rs 12,990 respectively, exclusively for the Indian market. Key features of the smartphone includes a premium 13.2 cm (5.2) HD display with simple extruded form, superior camera quality with 13MP Autofocus camera with Exmor, faster uploads via Uplink Data Compression (UDC) with Qualcomm Snapdragon 430, latest network capabilities such as VoLte and 4G Broadcast, Android Oreo 8.0 upgrade ready. 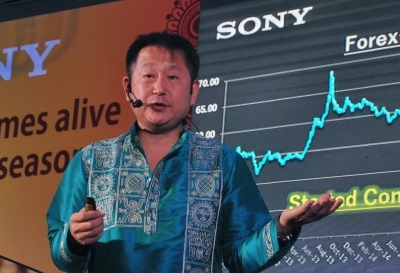 “Customer interest is exceedingly high in the smartphone category in India, particularly the mid-segment and we would like to leverage this demand with the launch of our mid-segment smartphones, Xperia R1 Plus and R1, exclusively for India,” Kenichiro Hibi, Managing Director, Sony India, said in a statement on Friday. “Sony India has always been committed to India market and support the country’s direction such as ‘Digital India’ and ‘Make in India’ initiatives. Sony India would like to contribute to India business development in multiple aspects,” Hibi added. Xperia R1 Plus and R1, which will be manufactured in India, will be available in black and silver colours. The smartphones will be available across all Sony Center and on e-commerce platforms Amazon and Flipkart from November 10. Pre-registration on Amazon begins from October 27.